White House Gift Shop, TPM Investigation Continues! Earlier today I told you about the curious story of “The White House Gift Shop”. It has a nice built in clientele: US embassies abroad, cabinet departments, other government agencies as well as political committees and campaigns and members of the public all of whom purchase mementos and souvenirs from it. But back to our original question: Is this part of the US government or somehow tied to the US Secret Service or what is it? Thanks to a number of emailers but particularly TPM Reader JB, I think I now have the answer. There was once an actual ‘White House Gift Shop’ in the basement of the Old Executive Office Building. But the current ‘The White House Gift Shop’ is a private for profit company which has no connection to the White House or the Secret Service or any other government entity, despite that fact that it seems to go to some lengths to give the impression that it does. As I explained earlier, the history of the Gift Shop goes back to a service organization affiliated with the US Secret Service. As recently as a decade ago it was run by the United States Secret Service Uniformed Division Benefit Fund. 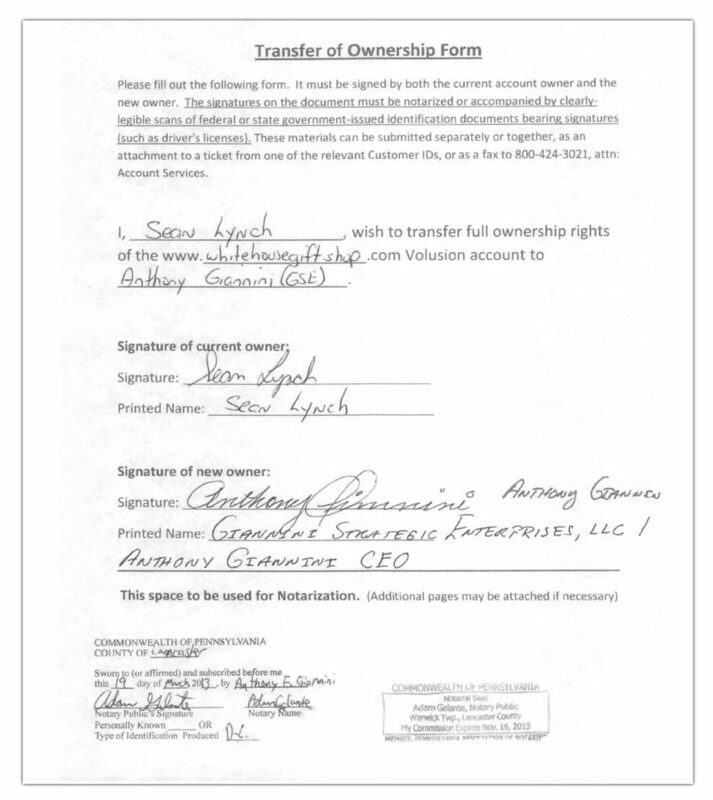 But on December 27th, 2011 the UDBF signed a contract with Giannini Strategic Enterprises to take over the Gift Shop business and run it on the UDBF’s behalf. In essence, the UDBF licensed GSE to run their store on its behalf. So far it’s all clear enough. The UDBF subcontracted running the store to a private company. But then something weird happened. About a year later, the UDBF decided to liquidate itself, simply go out of existence. Here’s a March 13th, 2013 email from Sean Lynch, identified as the Vice Chairman of the UDBF, telling Tony Giannini of his decision. 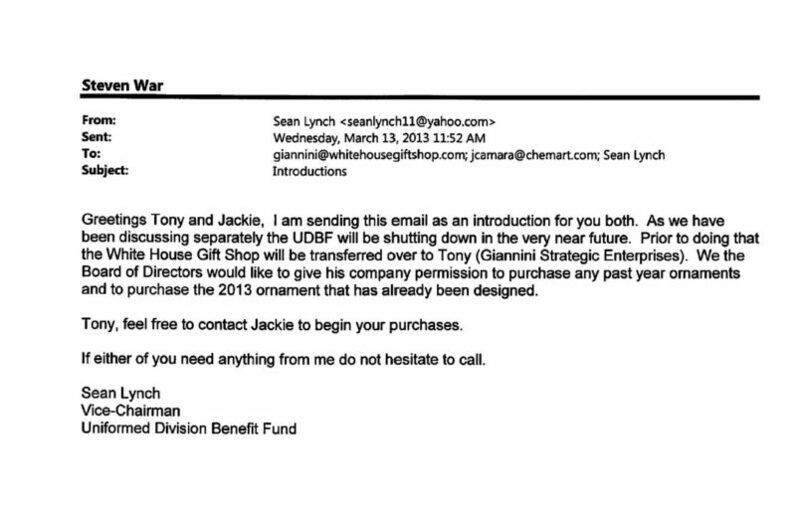 Press reports from October 2013 say that the UDBF declared bankruptcy and went under at the end of 2013. Presumably the writing was on the wall at the beginning of the year. 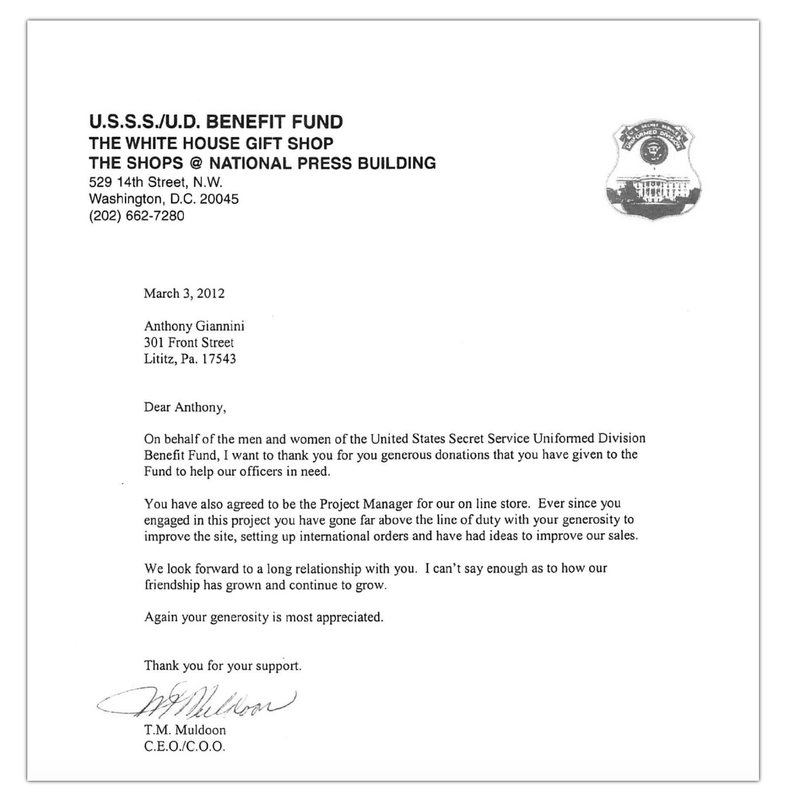 Now how exactly did Giannini hook up with the UDBF? No idea. His Linkedin page says that from 2010 to 2013 he was the Executive Director of something called the United States Secret Service Fund. But the only two references to that entity I can find googling the phrase are on his Linkedin page and my own post on this from this morning. 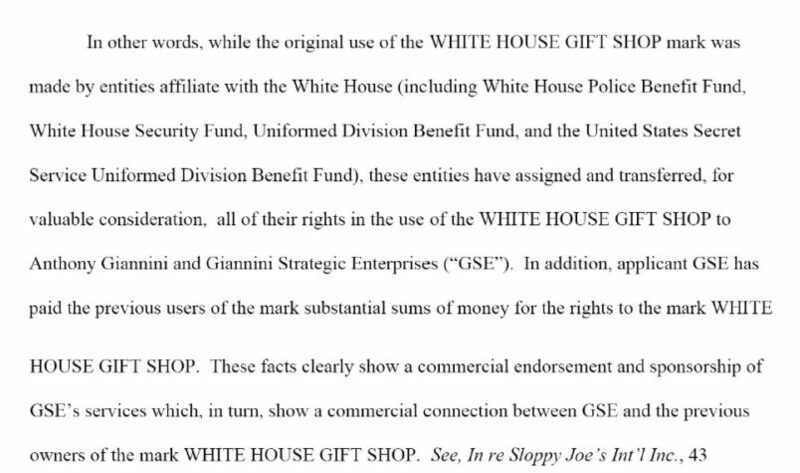 In any case, once Giannini was gifted the Gift Shop he went to the US Patent and Trademark Office to trademark the name White House Gift Shop. From what I can tell his initial application was rejected on the pretty straightforward argument that it gave the false impression that it was part of the White House. Giannini made a counter argument that there were other trademark holders with the phrase “white house” in their title (though those don’t suggest any connection to the Executive Office of the President) and that, contrary to the Trademark office’s claim, the actual White House (the governmental institution) was in fact connected to the company. How was he able to do this since in fact the company has no connection to the White House? GSE argued that on the basis of the history of the Gift Shop dating back to Harry Truman that it was deeply tied to the White House. He bought it and now it’s his. There’s a lengthy set of documents linked below where you can see all the arguments and exhibits. But the distillation of the argument can be found here in GSE’s follow-up application. The Trademark office bought this argument and issued the trademark. It seems to be the only trademark in existence specifically referencing a relationship to the White House. You can see all this history I’ve described and the various arguments and exhibits here.